The Porsches have arrived in Raleigh! 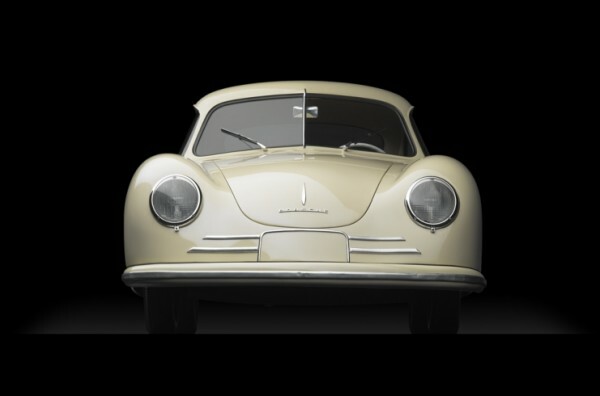 Porsche By Design: Seducing Speed is an exciting exhibit of 22 significant Porsches on display at the North Carolina Museum of Art until January 20, 2014. However, not all are “Porsches” in the strictest sense of the company name. The lead-off hitter is Dr. Ferdinand Porsche’s 1938 Typ 64K10 Berlin-Rom racer, developed while Porsche was just a design consultancy. Its streamlined Volkswagonesque form serves as a precursor to the Komenda-designed Typ 356/2 shape, the first production model that established the Porsche sports car company in 1948. Continuity of form is visible in the myriad collection of street and track cars assembled by automotive expert Ken Gross for this exhibit. The Porsche DNA is expressed in their curves, and the collection replicates the distinct shape that began with the 64K10. Porsche automotive design has evolved, yet has kept this recurring theme. It’s the “Oh, yeah, that’s a Porsche!” thought that comes to mind whenever you spot one blurring by on the road. Several activities were rolled out to showcase the exhibit and introduce it to the public, such as a gala reception and guest lectures by noted videographer and racer Jeff Zwart. 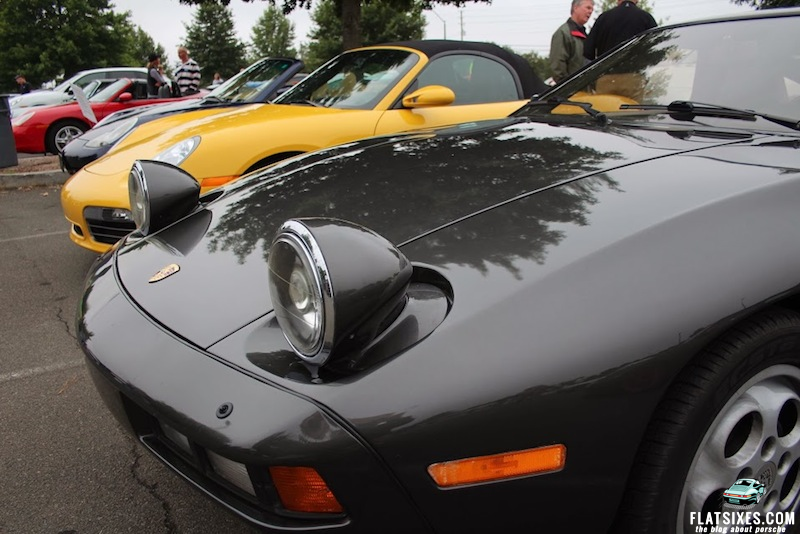 On the opening day, the Porsche Club of America’s Hurricane Region—in conjunction with the NCMA—sponsored a gathering of cars from the club’s roster. 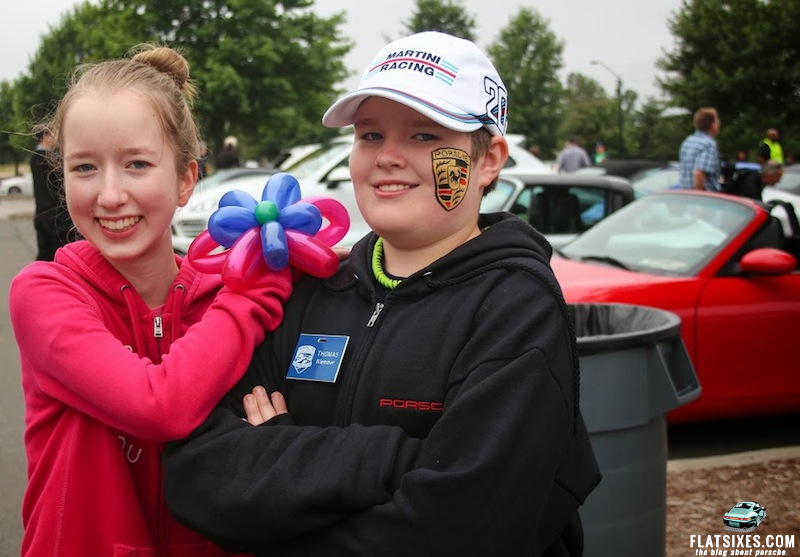 Over 75 cars were on exhibit for the general public, with food, kid activities, and bluegrass music accompanying the blustery weather. 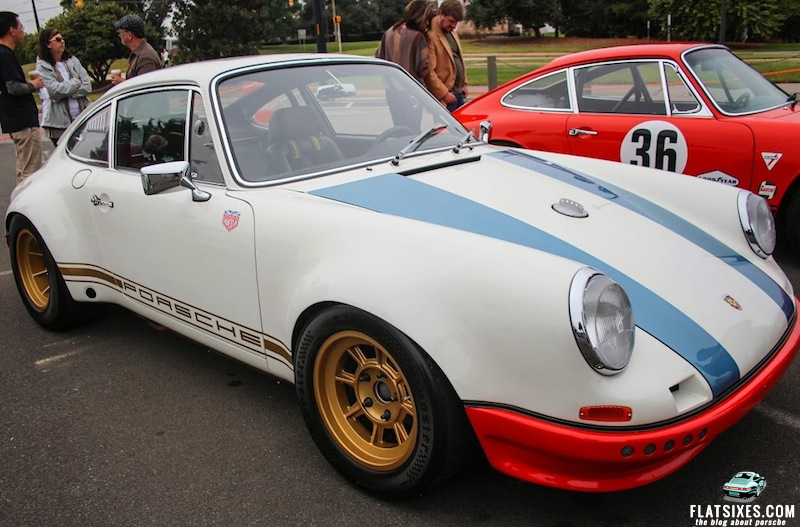 Noted Porsche aficionado Magnus Walker was also on hand for the festivities with a couple of 911s from his stable. 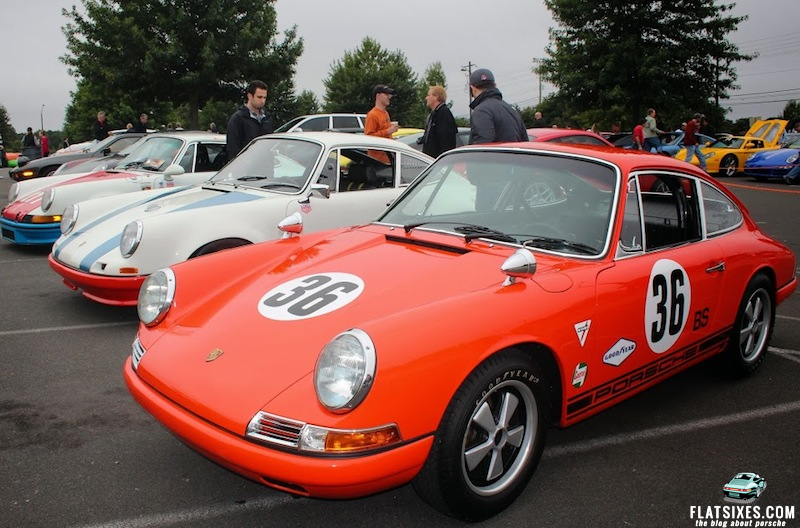 The photos below are from the PCA members’ car show. Museum officials have reported an unusually high interest in the exhibit, with brisk ticket sales resulting. 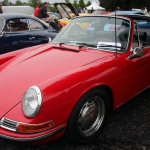 The Porsches on display include Steve McQueen’s Speedster, Janis Joplin’s 356 cabriolet, a 1949 Gmünd coupe, a room full of 917s , and the Carrera Panamericana, a working prototype that was given to Dr. Ferry Porsche on his 80th birthday. Plus several 911 iterations. This exhibit is one for the ages. Don’t miss the show! Porsche By Design: Seducing Speed is presented by the North Carolina Museum of Art, Raleigh, North Carolina, from Oct 12, 2013, through January 20, 2014. For more information, including several videos created for this exhibit, visit http://www.ncartmuseum.org. What’s The Next Best Thing to Visiting the High Museum of Art? The Allure of the Automobile! Porsche Supercup Star, Sean Edwards (26) Tragically Dead In Coaching Crash. We’re heading down to see the exhibit next week. Can’t wait! Wished we could have been there for the opening. We just got back from viewing the Porsche exhibit. I’d rate it as a must for any Porsche enthusiast. I was pleasantly surprised by the way the cars were displayed. Photos could be taken with nothing cluttering up the background. The movies behind the cars were a nice touch. The Ingram Collection had 5 cars there that made me wish that I could have seen his entire collection. My favorite car was his 356 Abarth. I’ve seen it before and it is by far my favorite Porsche—-Period. The Museum over all is really interesting. Although we were there for the Porsche’s, the other exhibits I would recommend as well. I could have stood there & starred until asked to leave. Again, GO SEE THIS EXHIBIT!